We work year-round and have multiple openings. This is NOT a temporary job. Candidate must be comfortable with performing basic hands-on mechanical fixes? Explaining repairs and suggesting upgrades? Have a valid driver’s license and are drug-free? We need to talk! HVAC is a must! Our Annual Maintenance Techs run pre-scheduled appointments with our customers and perform maintenance or warranty duties for our waterproofing, crawlspace, and foundation customers in their homes. They also evaluate the property and alert the homeowners to other concerns and if necessary sell additionally related repairs. We provide the appointments, training, tools, and a company vehicle! Please respond with your resume and apply today! Certifications with potential advancements to move up in the company over time. Medical – We pay up to 75% of the employees and family premium! Some employees will have company provided work vehicles. Free Concert and Sporting Event Tickets. All of our Basement Doctor Team has access to free tickets to PromoWest concerts and sporting events! You can feel good knowing that The Basement Doctor was selected as one of Columbus CEO and 10TV’s Top Workplaces for 2015, 2016, 2017 & 2018! Our customer satisfaction rating is 95%! If you have no opportunity to move up or grow with your present employer- WE PROMOTE FROM WITHIN! Check out a place where you will be appreciated and earn a stable lifestyle! You can also stop by our office at 13659 National Rd SW in Reynoldsburg from 8am-5pm, M-F to fill out an application and have an onsite interview! About The Basement Doctor: We are a licensed general contractor that repairs basements, foundations, and crawl spaces. We’ve been in business for over 31 years and our customer satisfaction rating is over 95%! You can feel good knowing that The Basement Doctor was selected as one of Columbus CEO and 10TV’s Top Workplaces for 2015, 2016, 2017 and 2018! We are also very involved with Ronald McDonald House, LifeTown, and Special Olympics of Ohio! Proven record of dependable work history. Valid driver’s license with no major violations in the last 5 years. Ability to work in a drug-free environment is a must. Military and/or Construction Experience a plus, but not required. The Company is an Equal Opportunity Employer.  About The Basement Doctor: We’re the leader in our industry and have been in business for over 30 years! Our offices are in Reynoldsburg, and we cover all of central Ohio. The success of The Basement Doctor lies within our dedication to quality, responsibility, and integrity. Our staff, products, and network are all founded on our belief in these ideas. We ensure that our salespeople are highly trained and focus on associate growth. J & D Home Improvement, Inc. makes all employment decisions, including those related to hiring, firing, training, promotion, pay and benefits, without regard to gender, race, color, age, marital status, pregnancy, national origin/ancestry, religion/faith, citizenship, physical/mental disability, military/veteran status, genetic information or any other basis prohibited by law. NOTE: A conviction record will not necessarily bar individuals from employment (You are not required to reveal records which have been judicially expunged, sealed, or eradicated.) Other factors will affect the final decision to hire or not to hire. List all former and current employers in reverse order. Give present or most recent employer first. Include any periods of unemployment, self-employment, military service, etc. Information provided is subject to verification. Great at something else? Apply Here!